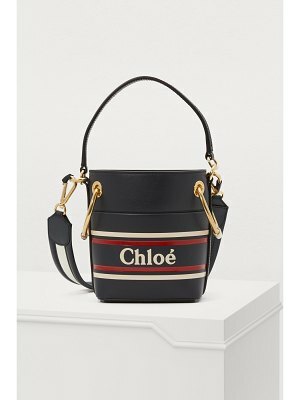 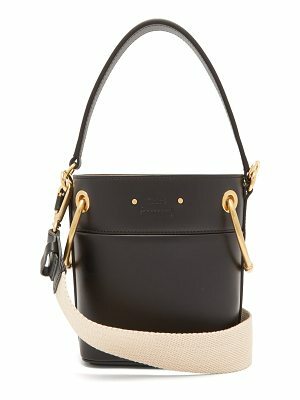 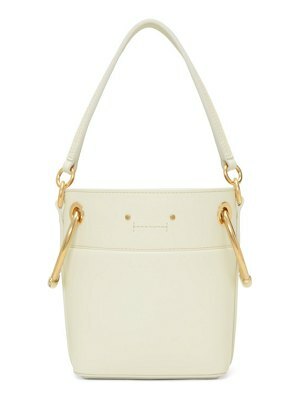 The spirit of travel emanates from this Roy mini bucket bag by Chloé. 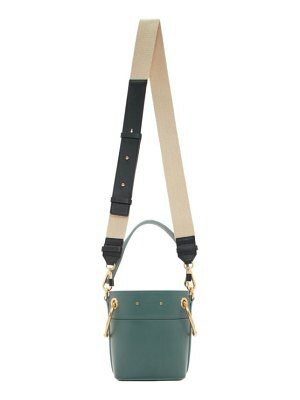 Its immediately recognizable circular shape sports marine-inspired colors. 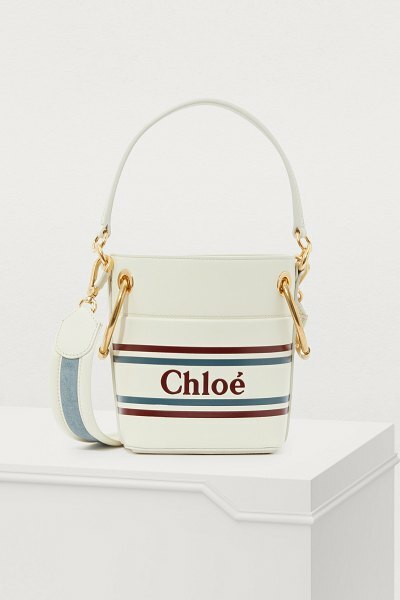 The name of the fashion house appears in a simple and delicate font, and its inner pouch closed by a string will protect all your essentials. 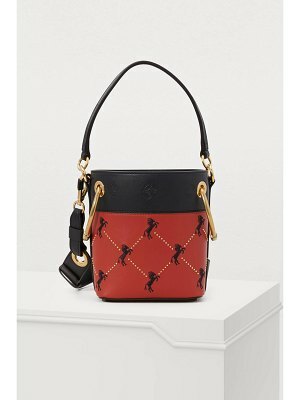 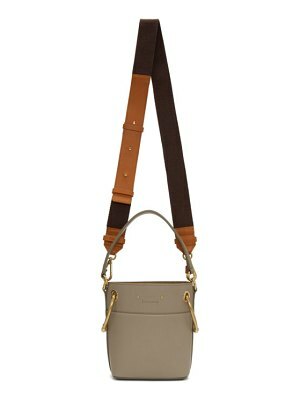 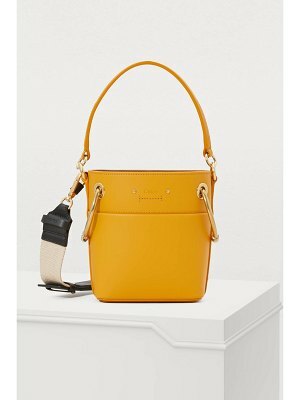 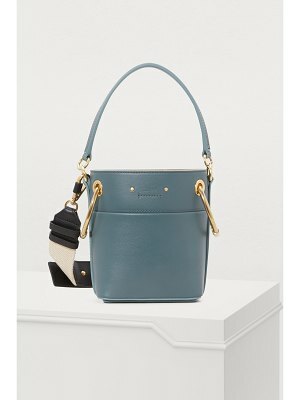 Carry it by hand or crossbody thanks to its small handles or wide shoulder strap.